my little red suitcase: a few healthy summer things! a few healthy summer things! 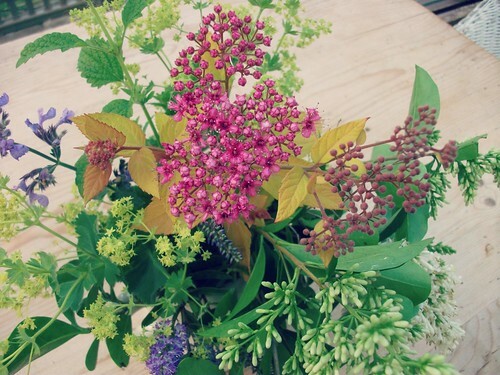 Remembering to pick flowers from the garden and bring them inside. It's all nice now, include some herbs if you can. I must try out some herbal teas, home made style. Yesterday I forwent my daily coffee. I have been feeling quite caffeined out in the last few days. Time to remember to drink some summer drinks instead of endless teas! 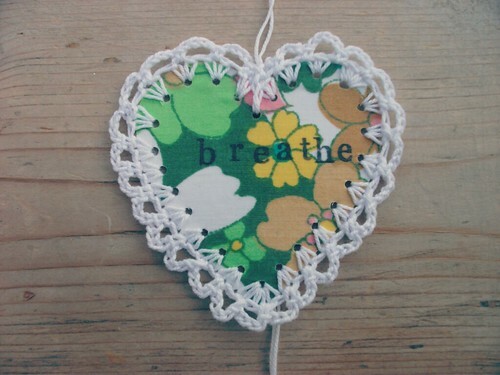 Yes, breathing is always a good thing.....especially after too much coffee....! Oh and did I mention mercury has been retrograde for the last couple of weeks, please don't ask me to explain, because I don't think I can! but as the planet of communication, you may have found yourself talking utter codswallop. That should end and we will can all start making sense again! Thrifted sandals, love the little cross stitch. I'm very chuffed, almost new, my toes are very happy in these. I have made a tick repellent. There really are a lot of these nasties around this year. Be careful walking through long grass, meadows and woodland. Cover up if you can or wear a repellent. There is a lot of talk of Lymes being spread, and this not a nice illness. It can be treated early if you notice a bite with a rash or white ring around it and have flu like symptoms with a course of anti-biotics. I found this natural tick repellent here. Apparently the ticks really dislike rose geranium. Thankfully I do like it and I have also added a few drops of lavender. I spray my legs before I go for a walk and also the dog. It makes a lovely feel good spray mist. Not for babies and cats though. I feel there may be some kind of pause here. The need to kick back and relax is there, as well as all the summer cleaning and maintenance chores which are calling. I've been having a little jig around here and would like to carry on straightening things up a bit, having a bit of tidy in all the places I seem to find myself, technology wise! I would also like to put more attention to my shop and grow this. There is only so long that is comfortable to be sitting in front of a screen in the summer I think. The need to move and stretch out a bit more is definitely calling. I must tell you, this bag has become my summer outfit and I am really loving it. It's just adding that bit of summer brightness that I need. There may be no going back now. Homemade and handmade is the way forward. Dig out those vintage linens and create! Mercury being retrograde might well explain a few things in my life! Thank you for the nudge toward more healthy eating/living - I have just picked some lemon verbena and will have that instead of tea today. I have just returned from working away from home for a few days and took my little red suitcase with me (not dissimilar to the yours on the right) - unfortunately it decided to burst open on the Northern Line, southbound, rush hour...oh well at least an old woman's pants does not create too much of a stir. I managed to get some elastic bands to keep it all together (not my knickers!). I have just got back from a holiday of over indulgence! I will certainly try out your recipe to get myself back on track. Your little heart is a real delight. Didn't think it was possible to have too much coffee!!! At least not for me anyway!!!! ! I absolutely looooooove the view from your veranda!!! How do you ever move yourself from there??!!!! We also have a tick problem over here and what I do is: add a few drops of citronella oil to a tub of aqueous cream and mix - works really well!!! Have a super happy fun filled week!!! Hi Heather, I like the sound of your tick repellant. Can I ask where you got the Rose Geranium oil. This product is by Amour natural, it's available on Amazon. Oh my! I'm sure you don't mind that I'm moving in with you next week?! That view! Your view! It's amazing! And that granny blanket is g-o-r-g-e-o-u-s... I have to keep looking at it... 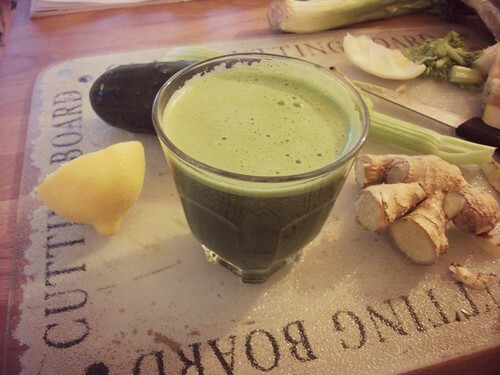 The colours are extremely yummy... And that juice, mmm, definitely on my making list for this week. I am loving your view...amazing. Have a lovely week. Such nice things to be happy about this summer. Those sandals are beautiful, what a find! Fun post, and educational too! Love lavender so spritzing legs before a walk sounds a great idea! I have really love all your last summery post. just looking at them now fill be will ideas for the day. rose geranium is my favorite sent. thanks heather. i just know if we ever meet you are a knidly sort. 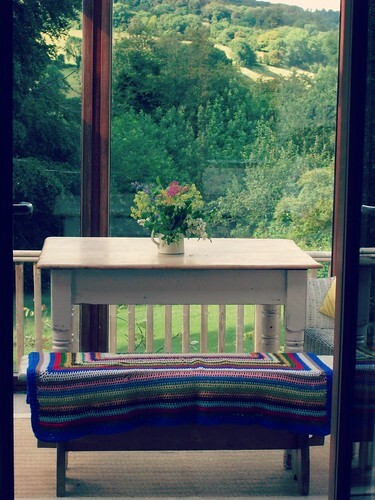 Lots of loveliness on this post! 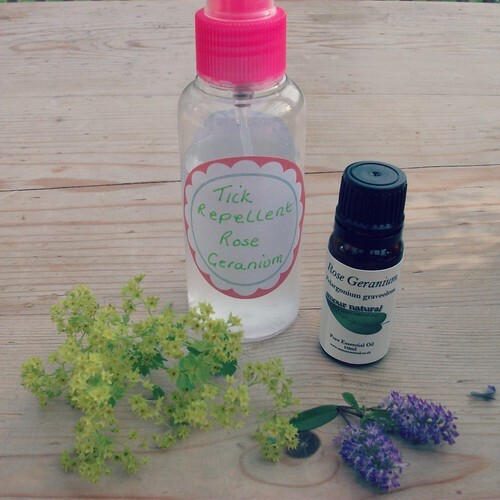 I really must try juicing, and that tick repellent sounds great ... love Rose Geranium! 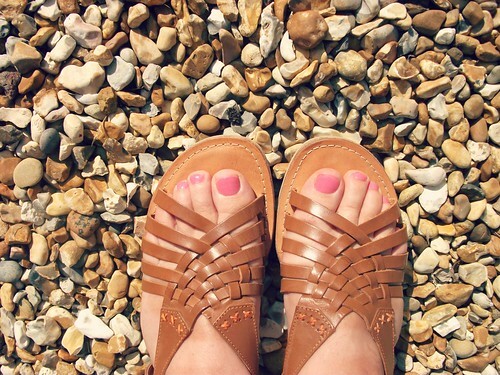 Your sandals are a great find, and the pink tootsies look fab! I am always SO excited when there is a new post up here! Thanks Heather! I had never realized you lived in such an amazingly beautiful, green place! Oh my, that view is amazing! My dream. I can't wait to visit your area one day! Thanks for the rose geranium tip, also. I love your sandals and I will be making that juice, thanks! Seriously healthy is never a bad thing. Would you believe I have never had one of these green smoothies? I have so many friends that are juicing and tell me how delicious it is, but then there is me thinking "Ahhh yes, but it's green!!!"... lol. I have tried cucumber water and lemon water though. I hear that cucumber is very cleansing and one of the best things for you, also kale is my new love, I put it in a lot of foods. I love your sandals, they don't look second hand at all! They look brand new. I live in sandals this time of year, Texas is so brutally hot that I wouldn't be able to survive in much else!! PS... Your flowers are gorgeous!